Looking for a complete gear motor kit? We've put this kit together to provide an easy all in one solution for projects requiring a small gear motor for animation. 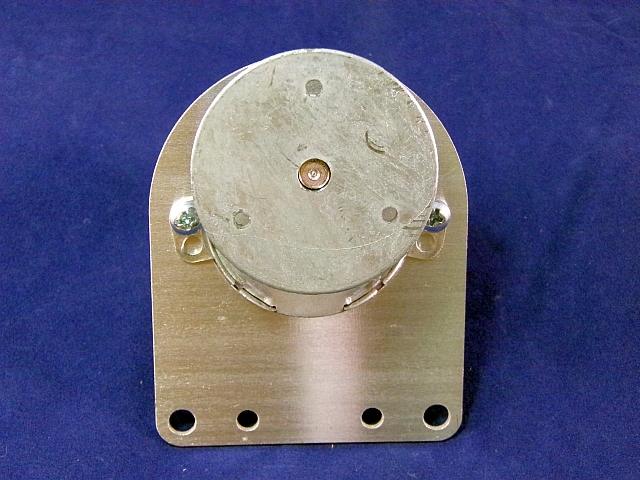 This kit provides a strong and simple aluminum mounting bracket to assure your motor stays put and the die cast shaft hub provides a variety of attachment options to meet your needs. The motor is a 110 volt 5-6 RPM gear motor. This motor is the reversing type and will reverse directions when an increased load is applied. The flying leads are approx. 12 inches long. Assembled. 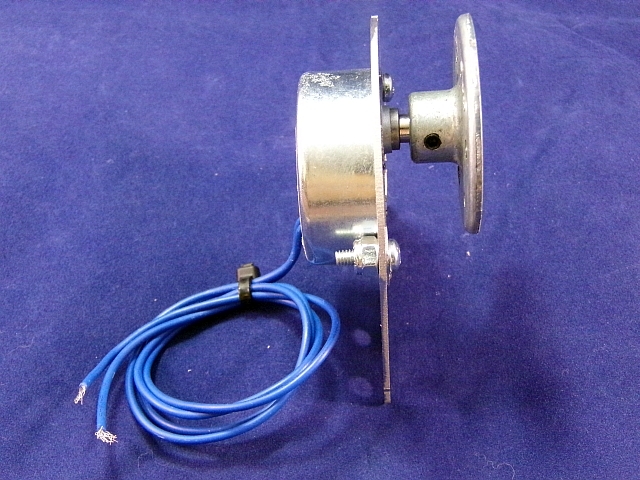 THIS MOTOR COMES WITH FLYING LEADS (NO PLUG) SEE OUR PC-1 POWER CORD KIT. Caution: 110 volts AC can cause serious injury or death! Please use proper safety precautions. Q: What do you use for the power source? 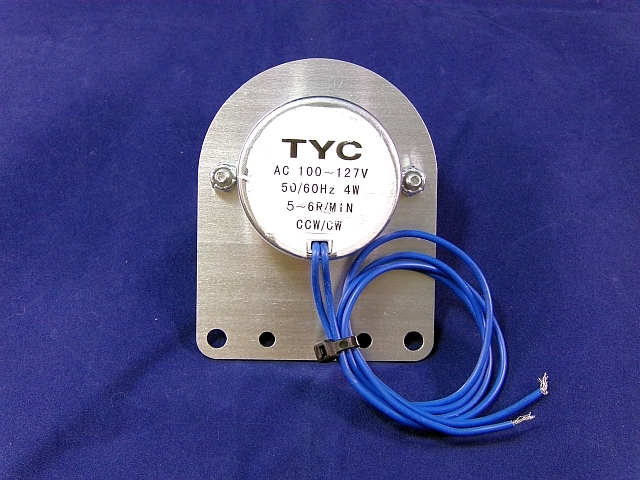 A: Hello, This motor uses 110 volts AC. Our PC-1 power cord kit gives you everything needed to connect this motor to a standard outlet to make it plus and play. Q: Is there a lot of noise generated from this? A: Overall they are very quiet. They make a small "purring" type sound as they run. Q: Plastic or metal gears? A: Hello, the current motors in the kit have plastic gears. These motors have held up well for us. The only caution is when assembling or adjusting your prop that you do not try to forcibly turn the output shaft or damage may occur. Q: What is the maximum weight this motor can handle? A: Hello, the weight will depend on what sort of load you are talking about. If you are using it to turn or rotate and arm, head or something similar it can likely handle 2-3 pounds of a balanced and well supported load. If you are trying to actually lift a prop (like a Flying Crank Ghost) I would suggest using a wiper motor setup. If you would like to email us at [email protected] with your prop idea, we'll have a better idea whether or not this will be a good fit for your project. Thanks! Q: Will this work for a Flying Crank Ghost?